What is a Business Revitalization Zone/Business Improvement Area (BRZ/BIA)? A BRZ is a Business Revitalization Zone. In June 1983, the Province of Alberta passed legislation that allows municipalities to establish Business Revitalization Zones. How is a BIA established? A BIA is established by the City of Edmonton at the request of the business community under the legislation in the Municipal Government Act (RSA 2000, C.M-26). Upon receipt of a formal request signed by at least 25 percent of the taxpayers within the proposed boundaries and if no petition is filed by at least 50 percent of the tax payers against the proposed BIA, the City may pass a bylaw establishing the BIA Board as a not-for-profit corporation. City Council sets the zones boundaries and approves the BIAs annual budget. The City also collects the special tax levy for the BIA and forwards it to each organization in quarterly payments. Further information on how to establish a BIA can be obtained by contacting the City of Edmonton City Planning and Development by phone at 780-496-6095 or by visiting their website at www.edmonton.ca. Who is a Member of a BIA? Any business that lies within the prescribed BIA boundaries is a Member of the Business Improvement Area and contributes to the BIA budget by way of the special tax levy. Members of the BIA are entitled to attend the BIAs Annual General Meetings and are eligible to vote on the selection of members to the board. Every member business is entitled to one vote at these meetings. Who sits on the BIA Board of Directors? Any business that lies within the prescribed boundaries determined by City Council is a Member of the Business Improvement Area and contributes to the BIA budget by way of the special tax levy is given the opportunity to nominate themself or another to sit on the Board of Directors. A select number of seats on the Board of Directors may be held by people outside of the BIA. Members of the BIA are entitled to attend the BIAs Annual General Meetings and are eligible to vote on the selection of people nominated to the board. The list of approved nominees are submitted to City Council for approval. Meet our current board members. Click Here. How does the BIA tax levy work? Each year, The Board of Directors of the Business Improvement Area (nominated by the Membership) approve the BIAs budget. The Annual Budget is presented at the Annual General Meeting. The budget is submitted to City Council for approval, as required by legislation. After approval, a special levy sufficient to raise the approved budget amount is added to the Municipal Business Tax for all businesses within the BIA area. The levy is collected through the City through the normal tax billing process and distributed to the BIA through quarterly payments. Each business member’s share of the annual budget is proportionate to their share of the total taxable value within the BIA boundaries. What benefit does the BIA provide my Business? The ability to use a dedicated revenue stream to promote local goals with neighbouring businesses in order to improve, market, and promote the business area. Physical and economic improvements to the business area. Some BIAs provide their owners with marketing and promotion campaigns, streetscape improvements, special events, private security, and business recruitment campaigns. Revitalization and maintenance creates a cleaner, safer and more attractive environment that benefits all businesses operating in the BIA. 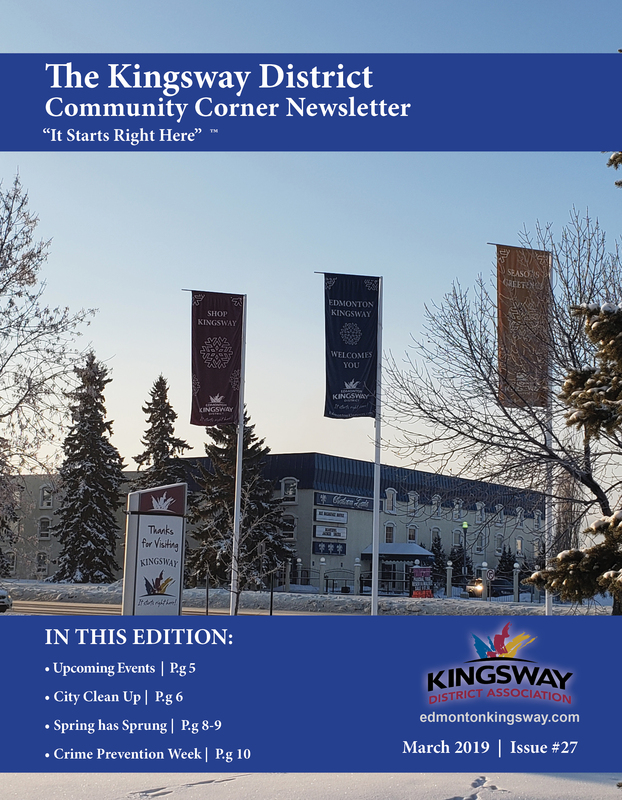 Improved communication between the business community, municipal staff, and City Council. How can one get involved in this BIA? To find out about opportunities for involvement contact Ellie Sasseville, Executive Director of the KDA. Phone 780-454-9716. If you require additional information, you can contact the City of Edmonton Planning and Development Department, Historic Sites and Business Improvement Areas Section at 780-496-6095.